It's just about that time of year again...back to school! Some have already started, and my two oldest start in less than a month!! It's creeping up fast! 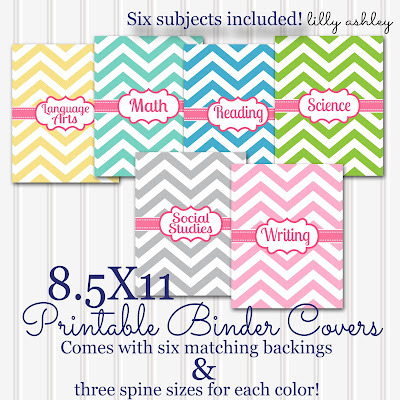 With that in mind...I created this set of binder covers! I created each subject in six different colors, so I can re-use them year after year! I'll just change up the colors! 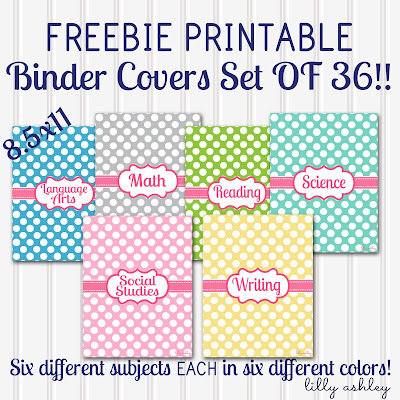 This is a freebie set of 36 binder covers!! Click the ribbon below to head to the download folder and grab these freebies for personal use! You'll find a zip file for each color set. Remember to unzip your files prior to usage! 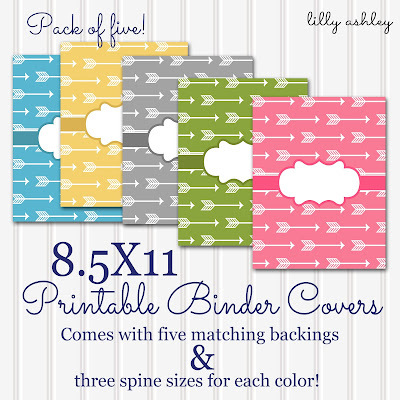 Want the matching binder backings and spine inserts? We've got the set in our shop! 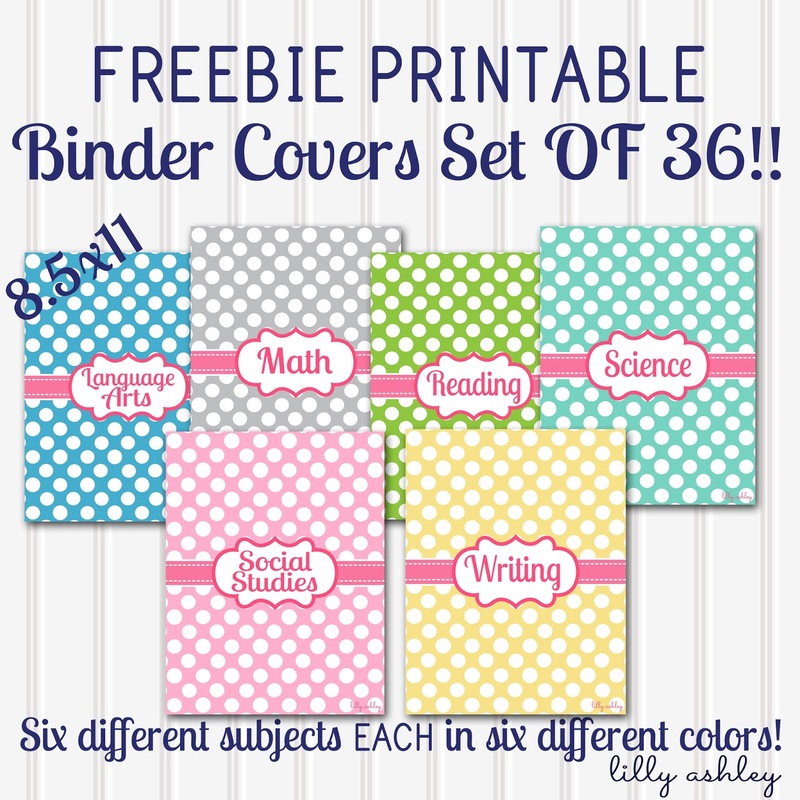 Combine the freebie covers set with the backings and spines set in our shop and you've got all that you need for six different subject notebooks! 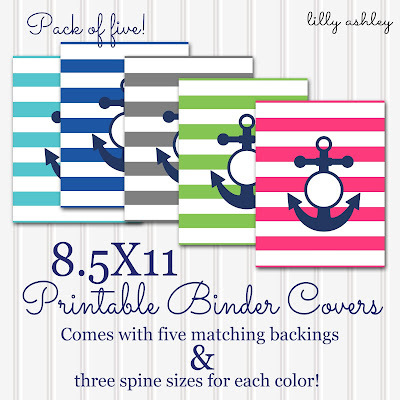 You can also mix and match colors with backings and spines, since the pink ribbon across the middle of all of them tie them together. A pink cover and backing with a mint colored spine would be super cute! All of the colors could work together really! Just print a different color for each subject next year! Re-use these files year after year. Arrows Pack Blank Center to type in your own subjects/name/monogram! See ALL available sets in our shop HERE! Hope you enjoy today's freebie downloads, feel free to pin for later!! Check back through some of our recent posts, they're full of freebies from printables to SVG cutting files to digital paper packs!! Don't forget to grab your free cutting file to create your own reusable first day of school chalkboard sign HERE! See ya back here soon for more freebies!